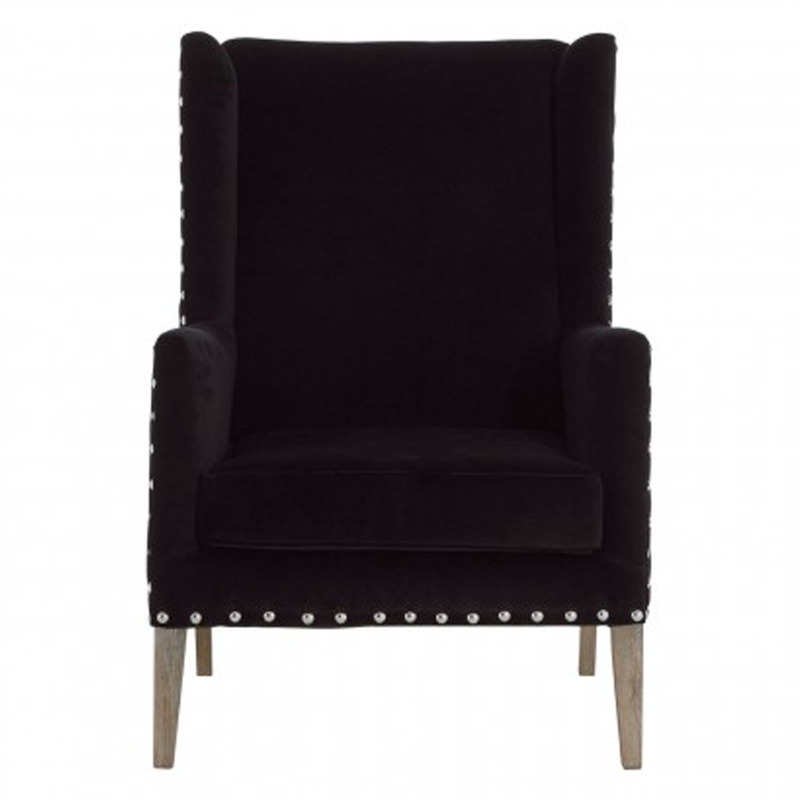 As part of the new and extensive range of contemporary chairs, comes the Black Kensington Townhouse Armchair. The chair is created with soft gunmetal black fabric, extremely soft to the touch, the metal studs form a reflective trim around the edge of the lovely stitching detail. Also features high & padded backrest, seat and armrests for maximum comfort. The solid oak wood legs keep it supportive and are very durable. This is the right way to add style and comfort to your lounge.